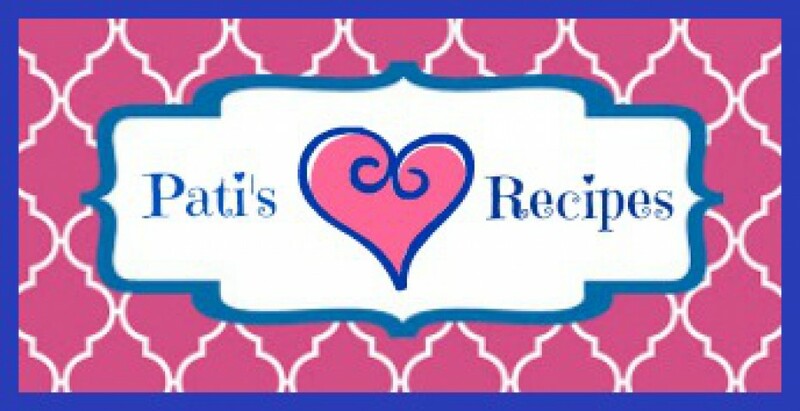 Follow the direction on Brownie mix package and bake accordingly. 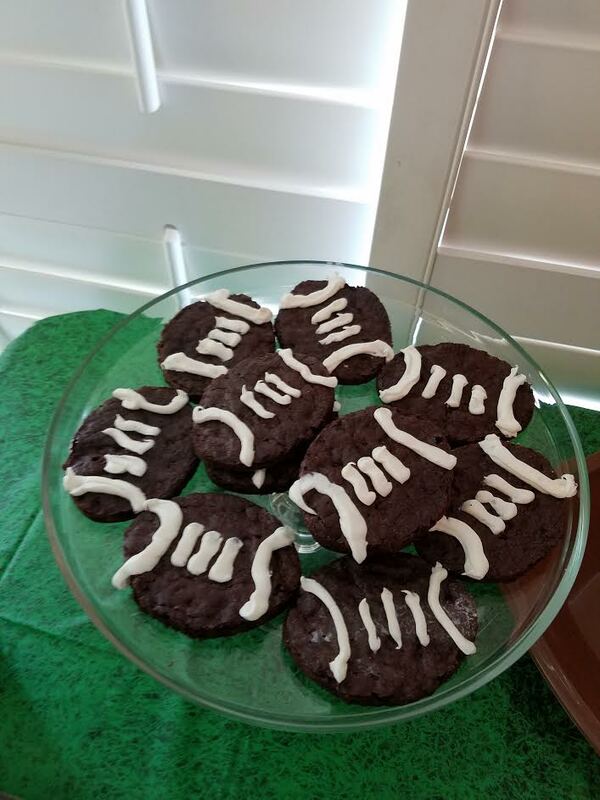 Let brownies cool then with the football-shaped cutter, cut brownies into football shapes. Pipe on decorating icing to look like football laces. 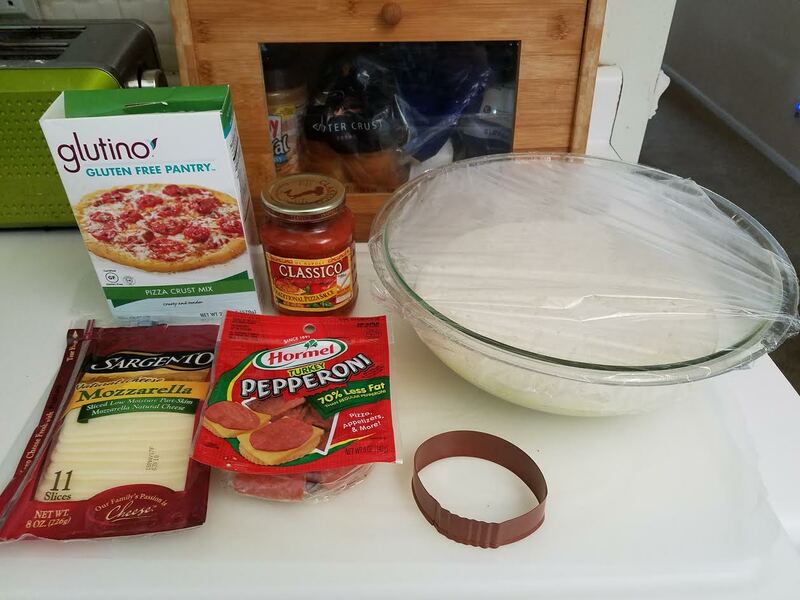 – Follow the cooking instructions on the Pizza crust mix. 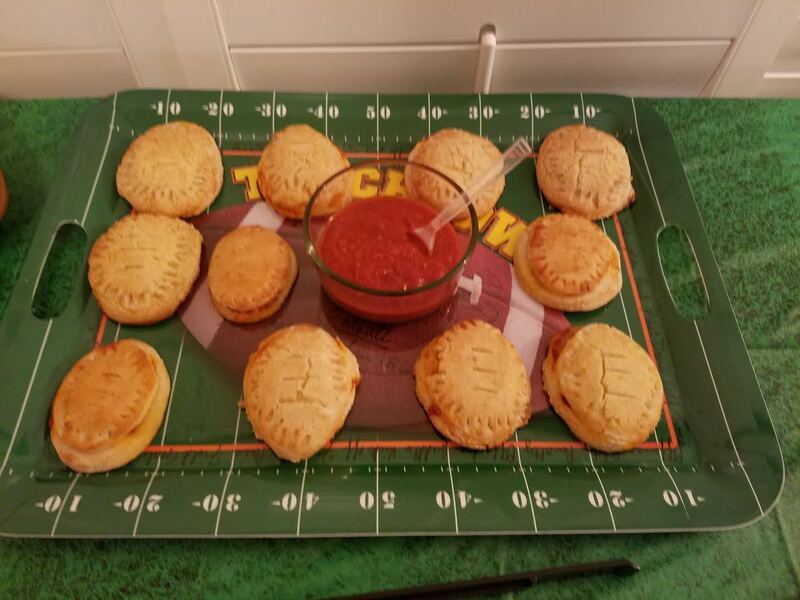 Once the Pizza dough is made then roll out the dough Using a football shaped cookie cutter, cut football shapes of the dough. Re-roll the scraps and cut out as many football shapes as you can. 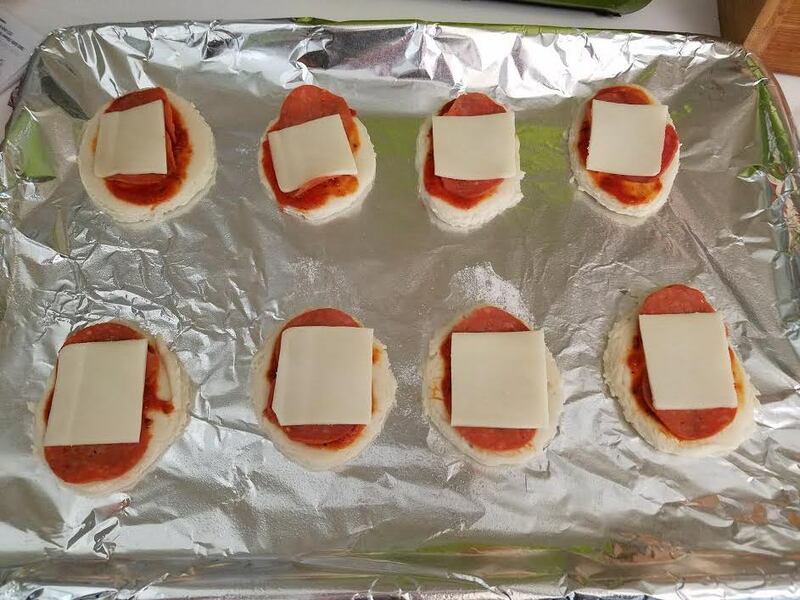 – On a football cutout, place a couple pepperoni slices, a piece of mozzarella and a little pizza sauce. 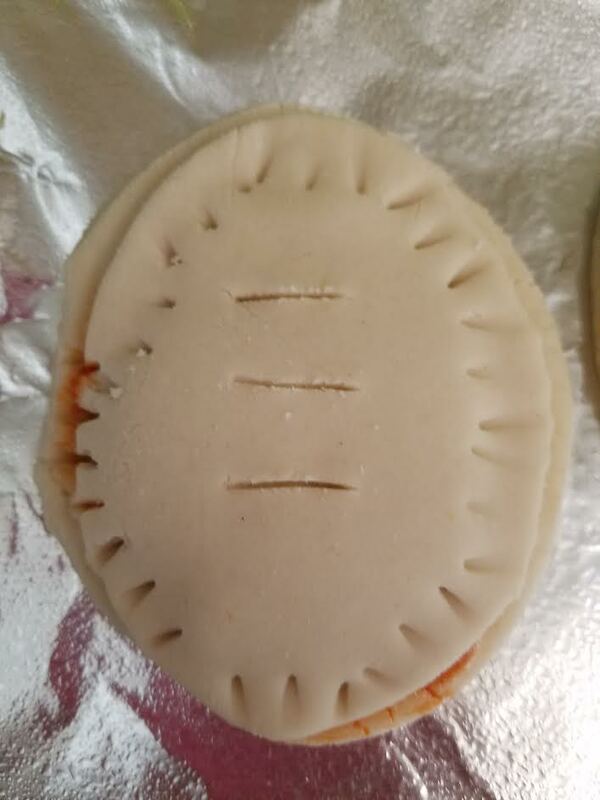 – Brush a little of the egg wash around the edges and place another football shaped cutout over the stuffing and seal by pressing down on the edges. 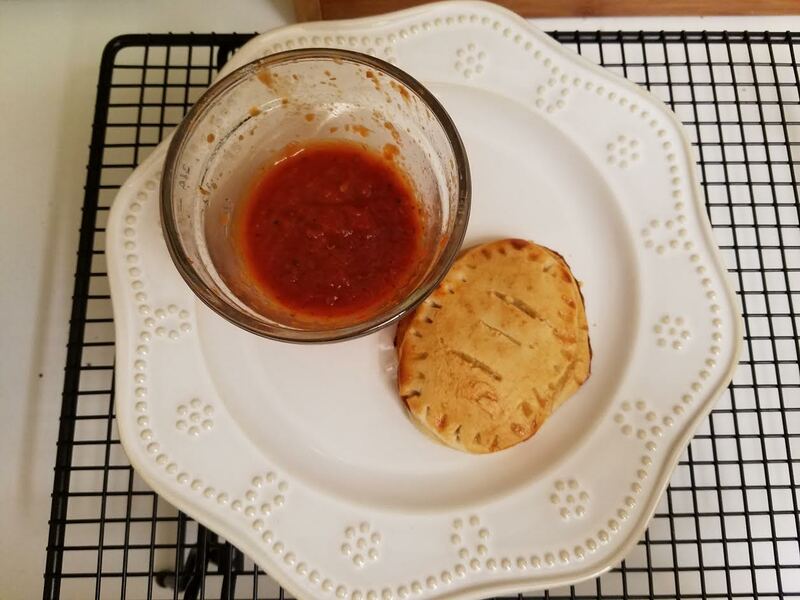 – Using a fork, crimp the edges around the pizza pocket and make slits in the top to resemble football laces. 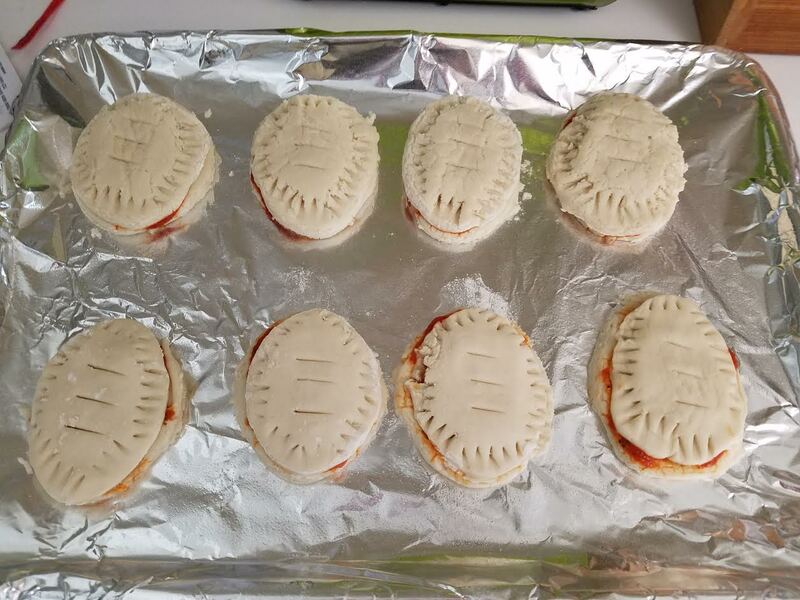 – Brush the tops of each pizza pocket with the egg wash and place them on a baking sheet. 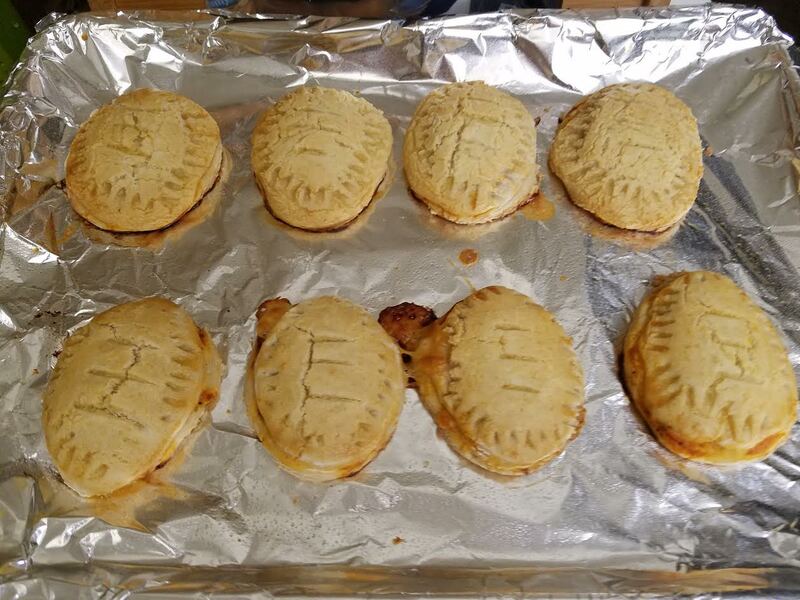 the pizza pockets turn a golden brown. 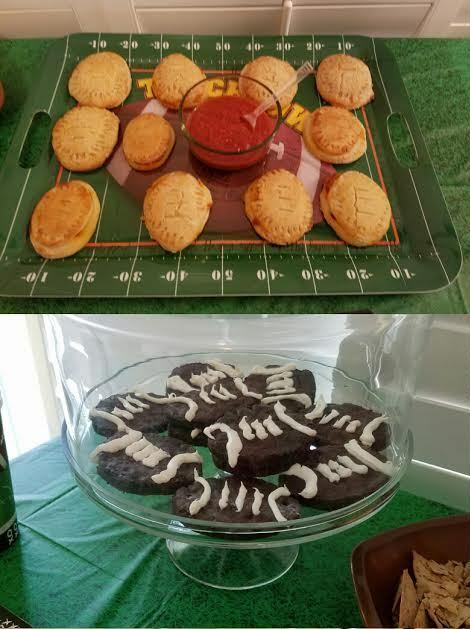 Brownies and Pizza looked just like footballs! 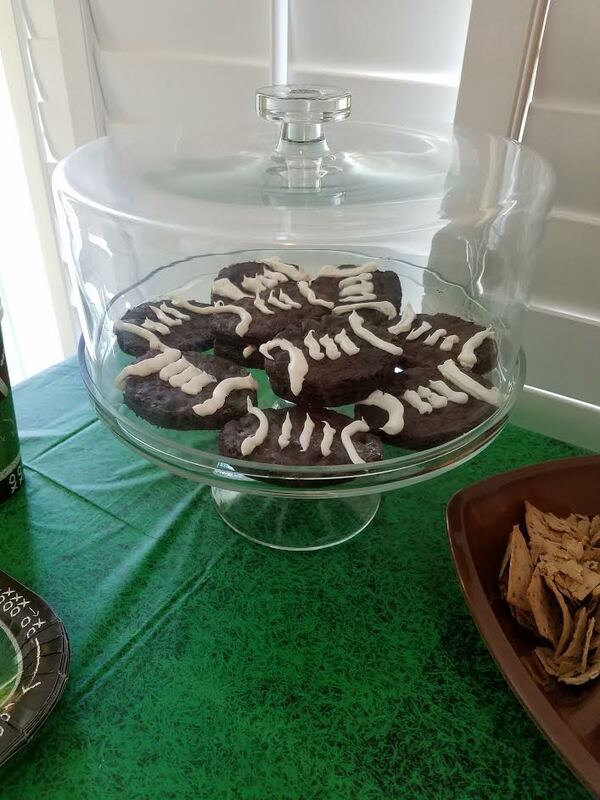 Great idea for football parties.